Because it’s major surgery, you should know the benefits, potential complications, and what’s involved in recovery. Before breast reduction surgery, you will consult your surgeon. During your consultation, you’ll talk about your medical history, including whether or not you’ve had a lump removed from your breast or have any other medical conditions that affect your breasts. Your surgeon will also ask you about your family’s medical history. Be completely open with the surgeon about your medical history and why you’re seeking a breast reduction. Be prepared to discuss any emotional issues you’ve dealt with regarding your breasts, how your breasts have physically felt to you, and any physical conditions you’ve had. 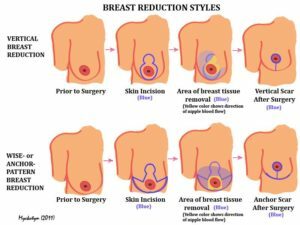 You need to be in good physical shape to ensure proper healing, so follow your surgeon’s instructions before and after breast reduction surgery. after the procedure, if you’re not staying in the hospital. While you recover, you’ll need to stop physical activity for at least one month after surgery.